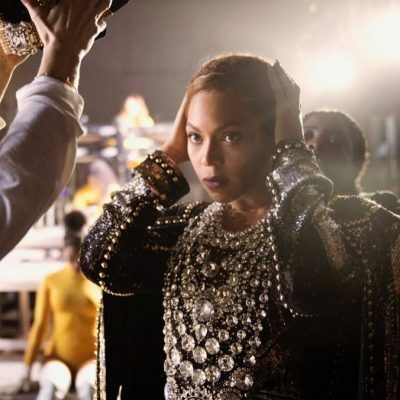 “I have this necklace, but I am pretty sure its fake,” was the first thing the owner of the diamond jewel photographed above said to Sotheby’s Specialist Quig Bruning when she brought the piece in to the auction house’s Los Angeles office. “Why?” was his reply when he saw the iconic Van Cleef & Arpels design. The client went on to explain the delightful backstory. 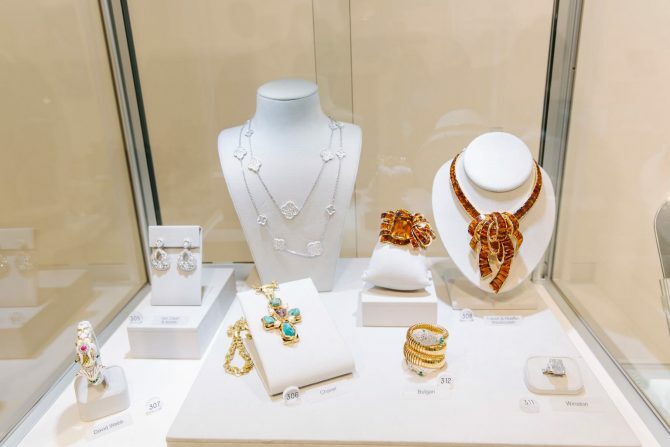 About eight years ago her mother, who was an avid costume jewelry collector, was browsing at a fancy consignment shop in Palm Beach. Mixed among the caftans, chinoiserie, wicker and caned furniture, she found the jewel for sale—and this is the kicker—for $25. Naturally with the low-price, she thought the piece was costume. Her son sweetly purchased it for her. When she passed away, her daughter (the person who brought it into Sotheby’s) acquired the necklace. 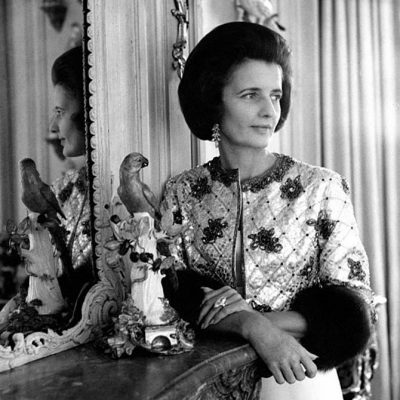 The family didn’t give the jewel another thought until the brother saw a Van Cleef & Arpels advertisement for a necklace in The New York Times that looked like his mother’s jewel. 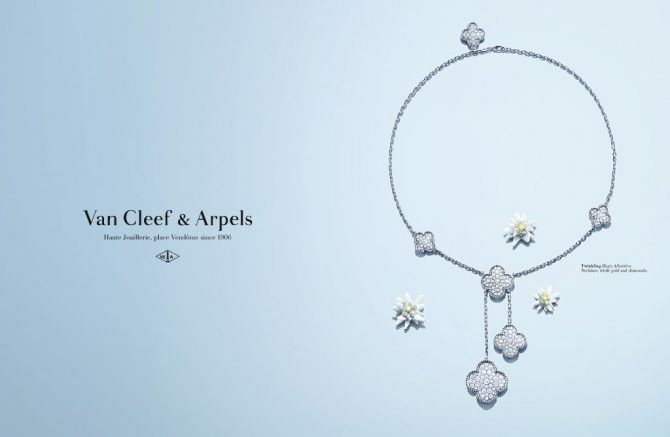 He cut it out of the newspaper, sent it to his sister and said, “Wouldn’t it be funny if it was real?” In all seriousness, the more they looked at the ad and necklace, they were struck by how the jewel did indeed look exactly like the Van Cleef & Arpels design. That’s when they decided to take it to Sotheby’s. At first glance, Quig told the client, “Well, these are definitely diamonds.” Once he took a loupe to the jewel, he found the Van Cleef & Arpels signature, assay marks and numbers. A background check on the design revealed it was in fact the 16-motif necklace of variously sized elements featured in the advertisement. The deluxe piece is part of the Magic Alhambra collection launched in 2006 and carries a retail price tag of $151,000. 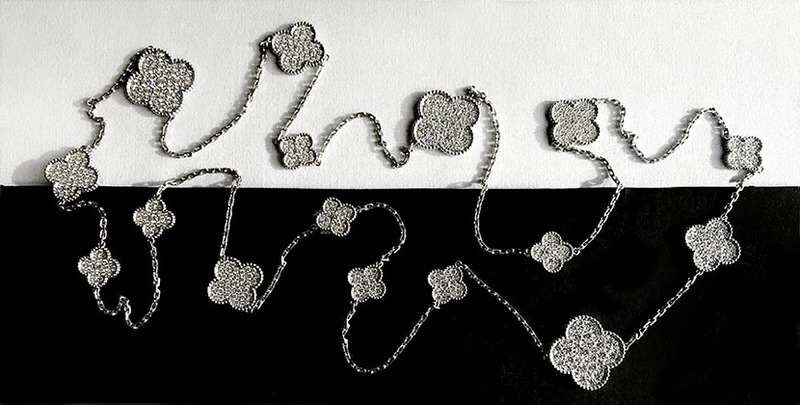 It is one of many editions in the four leaf clover series that was originally launched in 1968 under the direction of Jacques Arpels who passionately believed in good luck symbols. Alhambra was an instant hit with fashionable women including Grace Kelly and French singer Francoise Hardy in the 1970s. All the special and limited editions Van Cleef has launched in the last several years—pieces that are made with specific stones and specially numbered—have added to the popularity. It is arguably more well-known now than ever before. The client was in such state of disbelief when Quig told her about the jewel she asked “Are you sure?” He said “yes.” Then he told, your brother bought it for $25, we will just add three zeros and call that the estimate. At Sotheby’s Magnificent Jewels sale on December 5, 2017, the necklace sold for $110,000 hammer price (excluding commissions that will be added to the figure). Truly, it was the kind of windfall moment one hope’s a lucky charm will bring.